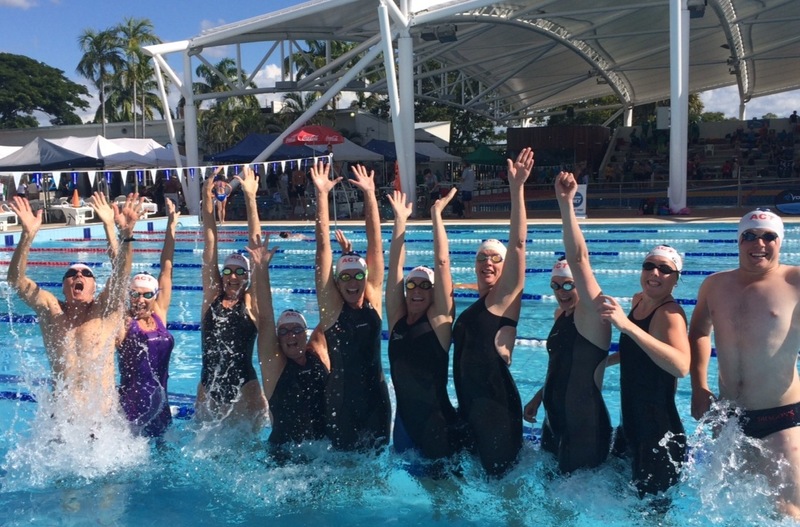 What a fantastic 39th Masters Swimming Nationals Championships at Rockhampton! The newly refurbished 10 lane 50m pool with its new roof turned out to be a spectacular swim facility and produced many expecpionally fast swims by our 10 Vikings who made the trip north to sunny Queensland for the 2014 Nationals. The Championships embodied all of Masters Swimming’s ideals of fun, friendship and fitness. 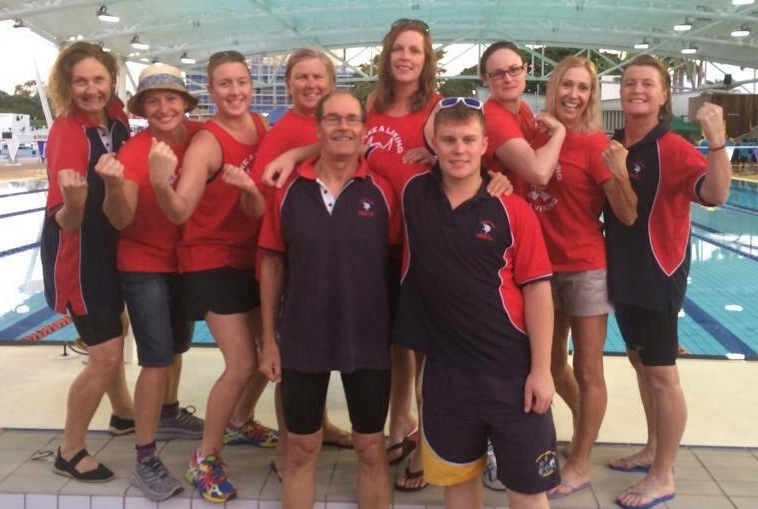 Our crew of 10 certainly made themselves known to all around the pool and truly showed that Tuggeranong Masters Swimming ACT is a force to be reckoned with. Our dynamic club finished 8th in the overall point score out of 93 clubs – what a fantastic effort with only 10 swimmers! Our team also achieved the highest average point score per swimmer from the eligible clubs with enough swimmers. 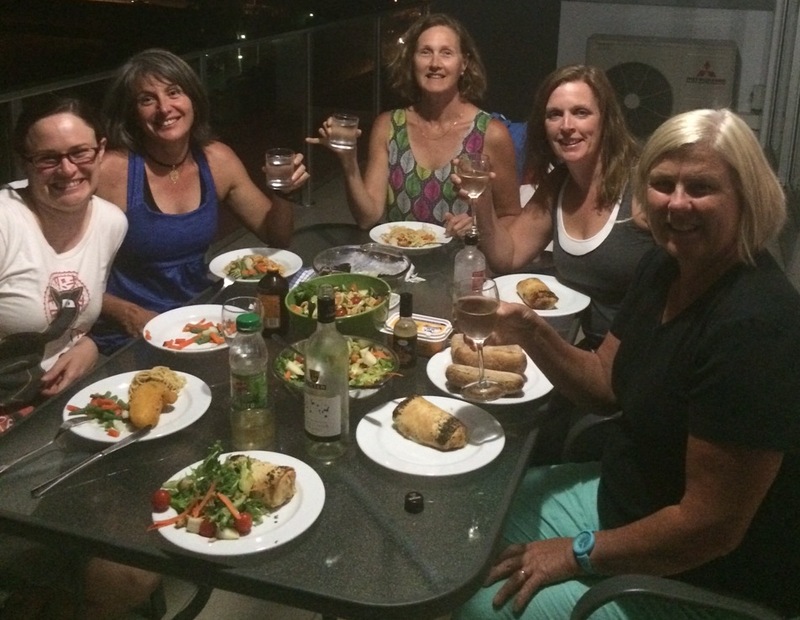 It was a huge week, swimming hard during the day and managing to fit in lots of socialising in the evenings – the team really enjoyed getting to know fellow NSW competitors better and meeting new swimmers from all around Australia. The Anzac Day service held at the pool was a special highlight and it was really moving to sing the national anthem and listen to the last post. Brenda, Kade and Katrina attended the presentation dinner on the Saturday night and had a lovely evening. Liz decided racing an ocean swim was not for her and headed back to Canberra on the Sunday morning, whilst six of our swimmers were on their way to the coast at 5.30am to tackle the open water swims at Yepoon: Caz (5km), Tara (5km), Anne (2.5km), Ian (2.5km), Nicolee (2.5km) and Marianne (1.25km) which was a nice way to finish off the week with a dip in the ocean – although not sure you can call the 5km event merely a ‘dip’?! Hobart is the location for the 40th Masters Swimming National Championships in 2015 where the racing will be in short course for the first time in five years since Nationals was last in Tasmania. We will all be going again and would love more of our team mates there next year! Nationals is such a great event to be part of no matter what your age or ability. 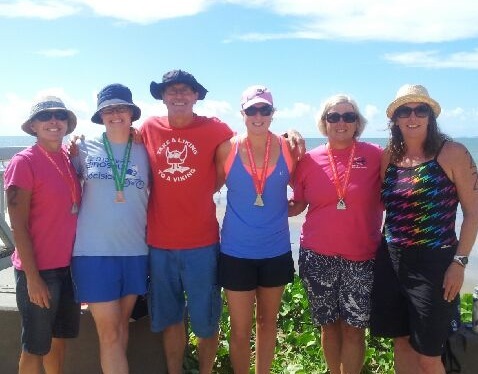 Big congratulations to all our swimmers and to our coaches Brenda, Leisa, Jeanette, Caz and Anne for all their hard work, thought and effort at training over the past few months – it certainly has paid off - Go You Vikings!!! More photos and full results are available via the Masters Swimming QLD website.